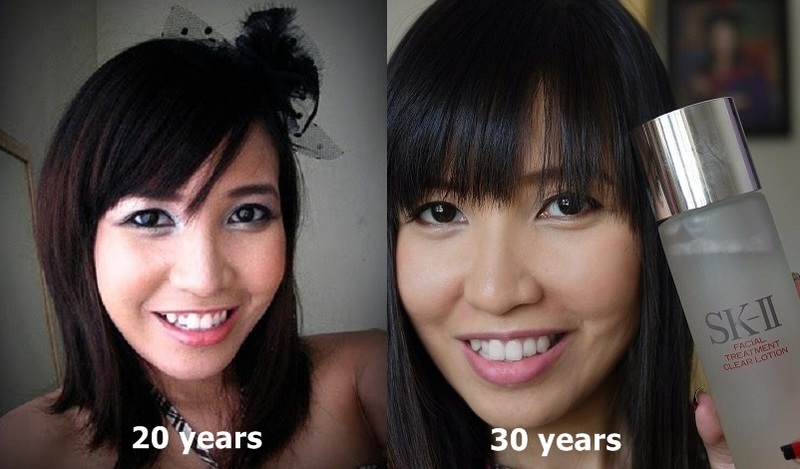 Can't wait to see how my face is like when I'm 50! What to expect at the Pitera House? 1. Get your skin analyzed by SK-II Magic Ring. This special machine can measure your skin texture refinement, firmness power, wrinkle resilience, spot control and radiance enhancement. It can even predict how your face looks like in the future if you don't take good care of your skin! 2. Exclusive Skin Destiny workshop that will be held on 10, 11 and 12 October 2014. There will be two sessions per day on 11 and 12 October 2014 with the first session from 11am to 1pm and the second session from 3pm to 5pm. For 10 October, there will be one session only from 11am to 1pm. You can pre-buy vouchers to attend these Skin Destiny Workshops which are available for sale at the selected SK-II counters for RM200 which are fully redeemable for SK-II products at the SK-II Pitera House. You can purchase the vouchers at SK-II counters in AEON Bandar Baru Klang, Bandar Utama, Mid Valley, Taman Maluri, Bukit Tinggi and Wangsa Maju. 3. Friend Bring Friend promo where if you bring one friend to purchase a Pitera Essence Set (PES) and register as a new crystal club member, you will receive one SK-II Facial Treatment Cleanser 20g worth RM37. If you bring 2 friends to purchase the PES and register them as new crystal club members, you will receive 2 bottles of the Facial Treatment Cleanser 20g worth RM74. 4. There will be a special launch on 10 October beginning with a mini-concert at 5pm featuring prominent independent Malaysian singers. This will be followed by an official launch at 6pm which will feature our local celebrities including SK-II Malaysia brand ambassador Fauziah Latiff and others. 1. Go to the SK-II Pitera House any day between 7th to 14th October. 2. Take a selfie of yourself and upload it on your Instagram with the special hashtag #JerineChangeSkinDestiny & SkiiPiteraHouseMY and tag my Insta handle on the photo (@QueenJerine). You don't have to purchase anything to join this giveaway. 3. I will pick 5 most creative selfie as winner. Winners name will be announced on my Instagram by 21st October. 4. After that I will contact the winners on how to redeem the Facial Treatment Essence. 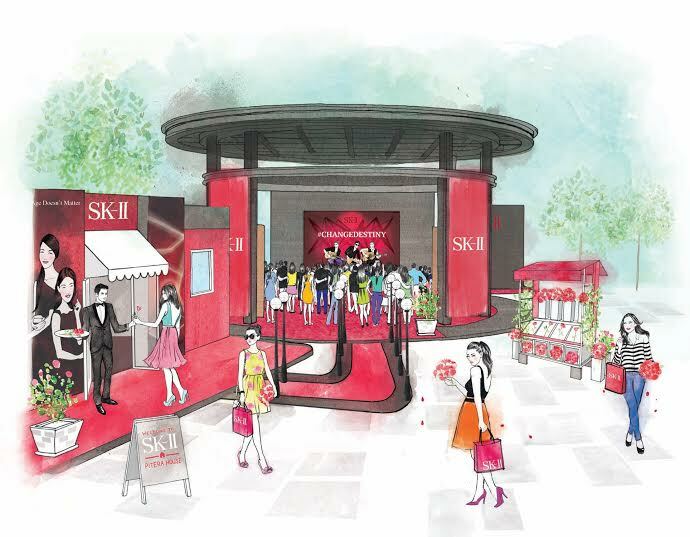 Go and have fun at the SK-II Pitera House... Experiment the products, check your skin performance with the Magic Ring, and ask anything you want. I'm sure there will be loads of programs line up for everyone. Let me know which date and time you want to attend in the comment. Maybe we can do a mini entourage there, and I can meet you all in person as well. If you want to know more about the SK-II Facial Treatment Essence, you can go to <<this link>>.